The upcoming weekend is a weekend of derbies. Probably the most exciting of all games on Saturday is the Madrid derby, in which we’ll see Real Madrid taking on Atletico Madrid. The venue is Santiago Bernabeu and the winner of the game might get on the top of La Liga table. So, which team is gonna be the winner if any? Find out in this Real Madrid vs Atletico Madrid match preview, at the end of which you’ll find a couple of, hopefully useful, betting tips. Los Blancos got thrashed by Sevilla earlier this week. The score was 3:0, which made everyone question the quality of post-Ronaldo Real Madrid. They did do well earlier in the season, but before the match with Sevilla, they didn’t play anyone who’s so strong. They beat Espanyol, Leganes, Girona, and Getafe, but when they played Athletic, the result was a draw. This Saturday, they’re facing the toughest challenge so far. They’re playing against another title favorite and one of their biggest rivals, Atletico Madrid. The good news for Los Blancos is that they’re gonna have a lot of support from the stands of their stadium, Santiago Bernabeu. This is the place where they’re without a single defeat in La Liga since January. What needs to worry them is their recent score with Atletico Madrid. The last time they beat them was in May 2017 when they met in the Champions League. Their most recent duel happened in mid-August and the score was 4:2 for Atletico Madrid. Atleti had some problems with their form in September, when they lost to Celta and drew with Eibar. But, now seems everything to be in order. They beat Getafe last Saturday, followed by a win over Huesca on Wednesday. In those two matches, they created a goal difference of 5:0. And if their winning run continues, you should not be surprised as Atleti have a fantastic team this season. They seem to have at least one terrific player in each position on the pitch. Same as always, their defense has been sensational. They’ve allowed only four goals in La Liga so far, which makes them the second-best defensive team in the league. The fact that they don’t allow too many goals is not surprising considering how awesome their defensive line is. They have a fantastic goalie and some of the best defenders in the league. The only worry is that Gimenez is having a problem with ribs, which means that he might not be fully fit for the clash with Real. Nevertheless, he’ll probably feature, as his backup, Savic, is also sidelined due to an injury. And when it comes to the attacking department, Atleti seem as dangerous as ever. Diego Costa and Antione Griezmann look capable of scoring against any opponent, especially when supported with midfielders like Saul, Koke, and Lemar. After a humiliating defeat to Sevilla earlier this week, Real Madrid players feel an obligation to put on a good performance, especially because the match is played in front of their own crowd. But, that means that they will leave room for Atletico’s counterattacks, which have been their strongest weapon. 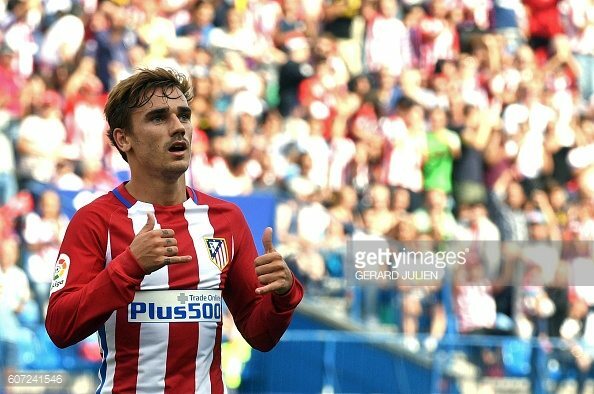 And with players like Costa and Griezmann in the attack, Atleti do seem capable of punishing Los Blancos.